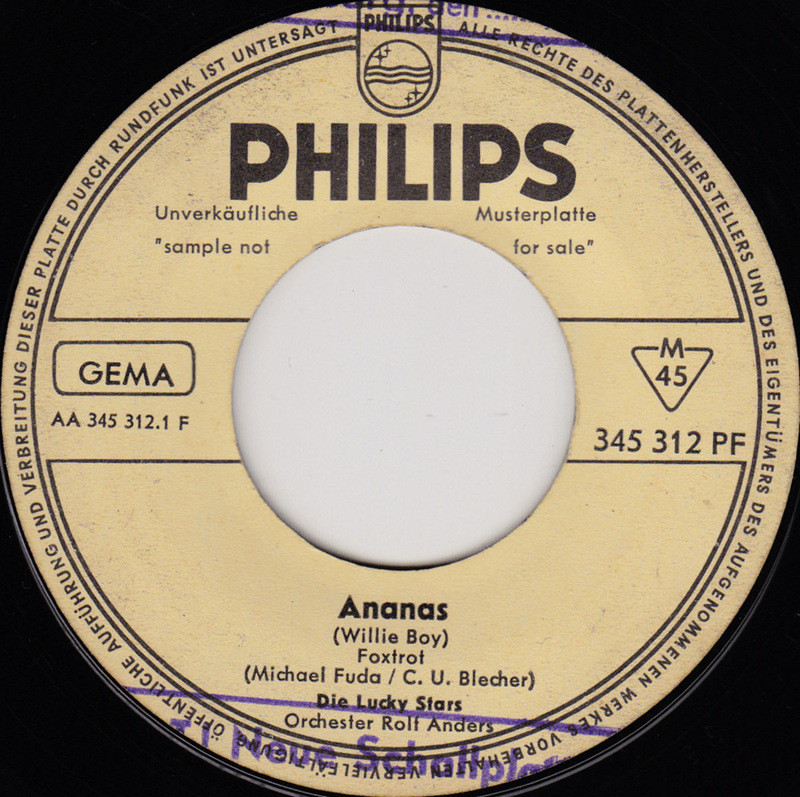 Exotic fruit like pineapple (Ananas) was still a big deal in 1961 in Germany so it was only logical to have the Lucky Stars dedicate a whole song to this new sensation. I couldn´t find any information about these girls or about the original version of the song. Is it Phil Harvey´s Willy Boy song recorded by Phil Spector for Imperial in 1959?